He works as a cook in a local restaurant. او به عنوان آشپز در رستوران محلی کار می کند. She works as a cook in a big hotel. There are many ways to cook food. You can bake bread and cakes and you can roast meat in an oven. You can boil vegetables in a saucepan. You can fry fish, eggs, etc. in a frying pan. ▪ cook a meal Shall I cook the meal tonight? ▪ cook breakfast/lunch/dinner Kate was in the kitchen cooking dinner. ▪ cook food The book also gives advice on healthy ways of cooking food. ▪ cook rice/pasta/sausages etc Cook the pasta for about 8 minutes. ▪ cook something gently/slowly (=on a low heat) Reduce the heat and cook gently for 20 minutes. ▪ cook something well/thoroughly (=until it has definitely cooked for a long enough time) Beans should always be cooked well. ▪ be cooked through (=in the middle as well as on the outside) Fry the fish until golden and cooked through. ▪ cook something evenly (=until all of it is equally well cooked ) Turn the pie several times to cook it evenly. ▪ be cooked to perfection (=be cooked exactly the right amount, so it is perfect) All the dishes were cooked to perfection by the French chef. ▪ cook to prepare a meal or food for eating by using heat: I offered to cook a meal for her. | Cook in a hot oven for 25 minutes. ▪ make to make a meal or a particular dish by cooking it or getting all the parts ready: John was making dinner. | I think I’ll make a salad for lunch. ▪ prepare to make a meal or a particular dish by getting all the parts ready. Prepare is more formal than make: The children helped to prepare the evening meal. | The dish takes a long time to prepare. ▪ rustle up /ˈrʌsəl/ informal to cook a meal or dish quickly using whatever is available: She soon rustled up a tasty soup. ▪ fix especially American English to cook or prepare a meal – used about meals you make quickly: Why don’t you take a nap while I fix dinner? ▪ do British English informal to make a particular type of food: I could do you an omelette. | I was thinking of doing a fish pie when Michael comes. ▪ bake to cook things such as bread or cakes in an oven: Tom baked a cake for my birthday. ▪ roast to cook meat or vegetables in an oven: Roast the potatoes for an hour. ▪ fry to cook food in hot oil: She was frying some mushrooms. ▪ sauté /ˈsəʊteɪ $ soʊˈteɪ/ to fry vegetables for a short time in a small amount of butter or oil: Sauté the potatoes in butter. ▪ boil to cook something in very hot water: He doesn’t even know how to boil an egg. | English people seem to love boiled vegetables. ▪ steam to cook vegetables over hot water: Steam the rice for 15 minutes. ▪ barbecue to cook food on a metal frame over a fire outdoors: I thought we could barbecue some mackerel. ▪ microwave to cook food in a microwave oven: The beans can be microwaved. Every night he cooked up a big casserole. • John is a very good cook (= he cooks well). • Who was the cook (= who cooked the food)? • She was employed as a cook in a hotel. Old English cōc (noun), from popular Latin cocus, from Latin coquus. • He's a very good cook. • She wants to become a professional cook. • There are various ways to cook fish. • Ensure that the meat is cooked through. • I'll cook you a special meal for your birthday. • Make sure you cook the meat well. • The vegetables were cooked perfectly. • Turn the fish over so that it cooks evenly. • What's the best way to cook trout? • Who's going to cook supper? 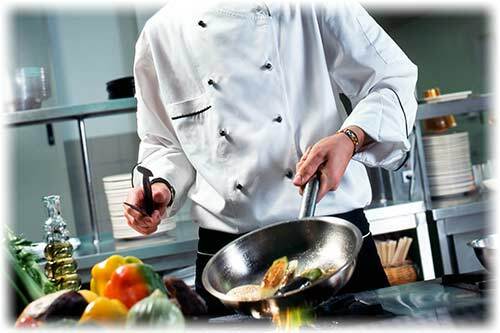 A cook is a person whose job is to prepare and cook food, especially in someone’s home or in an institution. Do you ​prefer cooking with ​electricity or ​gas? My father cooked the dinner. I am learning to cook. (1728–79) a British sailor and ↑explorer who sailed to Australia and New Zealand, and claimed the eastern coast of Australia for Britain. He also discovered several islands in the Pacific Ocean, including Hawaii, where he was killed. (1937–95) a British ↑comedian, who had a great influence on British ↑comedy and who is known especially for making humorous television programmes with Dudley Moore, with whom he first appeared in Beyond the Fringe when they were both at university. He also owned the humorous magazine Private Eye. (1946–2005) a British politician in the Labour Party, who was Foreign Secretary (=the minister in charge of the UK's relations with other countries) from 1997 to 2001. He was leader of the House of Commons from 2001 to 2003 until he ↑resigned because he did not support the government's decision to go to war with Iraq. Cook the sauce over a low heat for ten minutes. I’m usually too tired to cook an evening meal. He was cooking rice for supper. She cooked them all a good dinner every night. I promised I’d cook for them. He could smell something delicious cooking. Hamburgers were cooking in the kitchen. They’ve got something cooking, and I don’t think I like it. The band’s really cooking tonight. • Where did you learn to cook? • ~ sth What's the best way to cook trout? • Add the onion and cook for three minutes. • He cooked lunch for me. • ~ sb sth He cooked me lunch. • While the pasta is cooking, prepare the sauce. • Everyone is being very secretive— there's something cooking. I don't cook meat very often. [+ two objects] He cooked us an enormous meal./He cooked an enormous meal for us. Let the fish cook for half an hour before you add the wine. Is that cake cooked properly in the middle? My mother always hated cooking. I love my dad's cooking (= the food that he cooks). When you cook a meal, you prepare food for eating by heating it. We’ll cook them a nice Italian meal. Her hobbies include music, dancing, sport and cooking. When you cook food, or when food cooks, it is heated until it is ready to be eaten. Drain the pasta as soon as it is cooked. If you say that someone is a good cook, you mean they are good at preparing and cooking food. He must have cooked up his scheme on the spur of the moment. She’ll cook up a convincing explanation.